The week began with a strong focus on human practices as the team fleshed out 3 ideas. The first, iNAC, the iGEM North American Conference, was sparked by the observation that many more European than North American teams medal, and of those that medal, the proportion of golds is substantially higher for Europe. 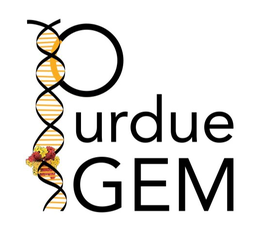 The concept is a “Going for Gold” event to facilitate better understanding of iGEM requirements, lab practices, and the constitution of a winning project. This event would take place in summer 2017, co-hosted in Chicago by Purdue and several other Midwest teams (in theory, anyway). In conjunction with iNAC, the team is hoping to host iNIC (iGEM Northern Indiana Conference) to discuss the possibility of coordinating iNAC. If this event is pursued, it would be a day-long conference at the end of July. The third idea is in regards to the Great North American Skype Series (G-NASS), a “Skype roulette” to foster inter-team communication. There would be a goal of 20 teams participating in a couple of 30-minute calls. More to come soon. Modeling commenced with Mark Aronson, former iGEM president and current advisor who Skyped the team from New York. A working bioreactor model is top priority, with layers of complexity to be added as experimental data is collected. Phosphorus genes were again transformed into competent cells, and newly-received plasmids resuspended after transport. Transformed phosphorus cells were inoculated, several colonies taken from LB agar plates and suspended in LB broth with ampicillin to incubate overnight. All phosphorus genes also underwent PCR amplification. An afternoon Skype call with the University of Exeter in England topped off the day as teams exchanged greetings, project synopses, and ideas for future collaboration. A Shewanella oneidensis culture, generously donated by Argonne National Laboratory, arrived amidst great celebration on Friday morning. This Shewie will serve as a basis of comparison for E. coli expressing organic nanowires. The team was busy in the lab making and running gels for phosphorus and re-transforming phosphorus genes after Thursday’s inoculations proved less than satisfactory. The University of Nebraska–Lincoln Skyped in the afternoon, which was especially relevant as they are tackling a similar wastewater treatment dealing with nitrogen and nitrate remediation. A rewarding end to a productive week.